On March 16, the Obama administration announced that a new rule, which would more than double the salary threshold for worker eligibility for overtime pay, was taking another step toward becoming official Department of Labor policy. This statement didn’t come at a press briefing, and wasn’t part of a lengthy policy proposal. 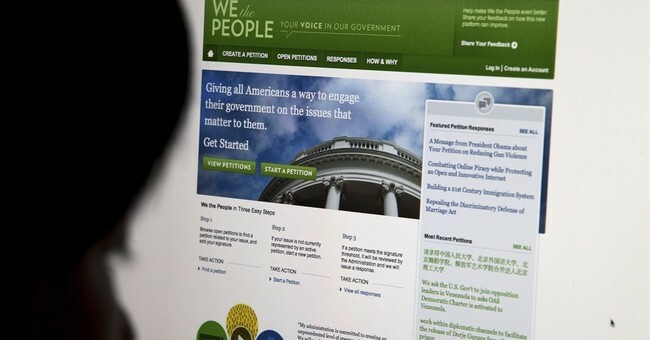 Instead, the administration was responding to an online petition through the “We the People” portal on the White House website. The petition, which specifically asked the administration to “tell the Department of Labor to move quickly on implementing the new overtime rule,” gained more than 113,000 signatures in just a month. Petitions aren’t exactly a new medium for political activists. From the Olive Branch petition that sought to prevent the Revolutionary War to the anti-slavery petitions that formed a key part of the abolitionist movement in the 19th century, activism on behalf of specific issues and groups has long been an integral aspect of American political engagement. What is new is the speed with which petitions can effect change, made possible by the Internet, social media and mobile technology. While petitions have historically relied on word of mouth and community bonds to gain traction (and signatures), the Internet has created a new brand of political engagement: digital activism. Now, it’s easier than ever to rally thousands of individuals who share a given point of view and will show their support through signatures and sharing alike, substantially multiplying the impact. Unfortunately, the Left has dominated the medium through sites like Change.org, which has gathered more than 100 million users in support of primarily liberal causes. That success has fueled a myth that the tactic of online petitioning is one that only “progressives” can or want to use. But conservatives are increasingly realizing the benefits — and necessity — of incorporating online tools into modern activism efforts. If you’re new to this kind of political activism, or you just aren’t familiar with many of the tools and methods digital activists rely on, getting started can seem daunting. Fortunately, anyone can become an effective advocate for any of the issues they care about with just a few simple steps. First, identify a cause you are passionate about — it doesn’t have to be a national issue like Common Core or the Second Amendment. Sometimes the most powerful, effective petitions address local issues that others in your community care about as well. At StandUnited, an online platform we created to level the playing field for supporters of individual liberty, free enterprise and limited government, individuals have created petitions that have had diverse impacts, from successfully requesting that Congress repeal the Medical Device Tax, to saving a historic Confederate War memorial in Portsmouth, Va. The next step is to identify the decision makers that will be able to effectively address the issue at hand. This could mean your local city council or the president of the United States ­— the beauty of digital activism is that anyone is easily accessible with your message. After identifying the decision makers for your issue, create and share a thoughtful, articulate petition with friends, family, neighbors and like-minded individuals. Nothing has made activism easier and more effective than social media, which is why it’s so crucial that you share your petition on your social media profile to make sure as many people as possible see it. You might even be surprised by who agrees with you. Make sure that your local media is aware of your petition, and update them on the progress of the petition and the importance of your cause. This can be the most daunting part of the process, especially if you are not familiar with media outreach. Fortunately, most local media are interested in the issues that impact their city or state, and media coverage of your petition is one of the most effective ways to get the attention of decision makers. A great opportunity to get media coverage is to deliver your petition in person to the decision maker. If there is a deadline such as a vote, a hearing or an election, use this opportunity to press the decision maker on your issue and get publicity. Finally, don't give up easily on your issue. Activism isn’t a process that works immediately — sometimes it takes weeks or months for a petition to gain steam. Keep working to spread awareness of your petition and the issues at hand, and you’re likely to see your hard work pay off. Thanks to the rise of digital activism, that sentiment is truer than it’s ever been. Never have individual voices had a louder megaphone, higher platform or more direct access to decision makers, and as a result the power of the petition is greater than it’s ever been. You have the power to make your voice heard. How will you make a difference?